The way Mr. Walker sells cars is unique. "The price we advertise is the exact price our customers can buy the car for. It includes tax, title, and delivery. Other dealers will often offer misleading pricing and then bury the true cost in fast-talking disclaimers that not even other dealers can understand." "For instance," he says, "one competitor will advertise an $89 monthly payment for a certain car. Then tag on the incomprehensible fast talk at the end. The customers feel lied to when they show up to buy the vehicle and find out it will require an $8200 down payment to drive it out. We don't do that. Naples Nissan only advertises transparent pricing. We never need a disclaimer." As far as Mr. Walker is concerned, there is only one medium he can count on to deliver his message of transparent pricing: advertising on Fort Myers radio. "I chose radio," he says, "because of the traffic patterns in Southwest Florida. We have more people than our roads and highways can accommodate. So people are spending a lot of time in their cars during mornings and afternoons." "I-75 is continually congested. Route 41 is congested. The main roads and side streets are congested. As a result, people depend on Fort Myers radio for traffic reports to get them from point-A to point B. That's good for my business because people are captive in their cars, and I can communicate with them." Fort Myers radio is the only way Naples Nissan advertises. "TV is way too expensive in Southwest Florida for advertising with any consistency," says Mr. Walker. "Cable is way to fragmented with people having access to hundreds of channels. Direct mail gets thrown away without being read. And the people who read the newspaper just aren't our customers." "It was a bold move we made to advertise transparent pricing. At first, the prices in our ads seemed more expensive than our competitors. It took about six months for our message to sink in that our prices were the real thing. But, then our consistency and patience paid off." Mr. Walker knows by several metrics that his radio ads are effective. "First of all, if we are ever off the air for a few days, my sales managers notice a significant dip in customer traffic." The second way he knows is by a reversal of his "pump-in" and "pump-out" rates. For Mr. Walker, a pumped-out buyer is somebody who registers a new Nissan in the Naples area but purchased it from a Nissan dealer outside of Naples. 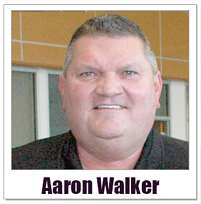 A pump-in customer, on the other hand, is a customer who registers a new Nissan outside of the Naples area but purchases it from Mr. Walker. In other words, pump-ins are good. Pump-outs are bad. Before Mr. Walker owned Naples Nissan, the dealership was pumping-out 500 more cars a year than they were pumping-in. "Since we started advertising on Fort Myers radio," says Mr. Walker, "that has reversed. We are now pumping-in far more cars than we are pumping-out. We are seeing a lot of new customers coming in from Cape Coral, Bonita Springs, Marco Island, Lehigh Acres, and Golden Gate. These are all customer who are fed up with other dealers' misleading commercials and come to us because of our transparent pricing." Mr. Walker says he has hundreds of other personal examples that his advertising on Fort Myers radio works. His favorite happened a short time ago. "I was being prepped for an out-patient procedure (one recommend for men of a certain age) not too long ago. One of the nurses saw my name on the chart and asked if I was the guy from the radio. When I said yes, she began to share the news excitedly with all of the other nurses and doctors within in earshot." 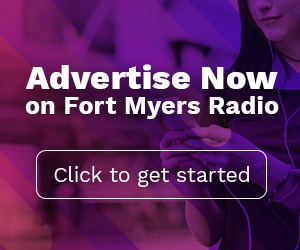 Mr. Walker believes that with the right message and with patience, most Southwest Florida small business owners could benefit from advertising on Fort Myers radio. "First, make sure you have a precise message. You have to respect the listeners' time. Only share useful and relevant information that they can use." "Second, Be sure you are prepared to handle the website traffic your commercial will create. It will be off the charts. I know that my radio advertising is responsible for most of the 4000+ live-chat sessions that happen each month on the Naples Nissan site." "Finally," says Mr. Walker, "it could take six months before an ad campaign can produce significant results. I know this firsthand. As a matter of fact, I am anxious to start a new campaign for an online, easy purchase option we are offering. I am hesitant to take the leap, though, because I know it will take six months of consistent advertising. That's tough to do when my current campaign is producing record-breaking results."